the school has undertaken the pre-university education for thousands of international students from dozens of countries, which include South Korea, Japan, Malaysia, Pakistan, Russia, the UK, the USA, Kenya, and Senegal. Our pre-university education system for international students offered one academic year study and focused on subjects such as literature, history and management. We emphasized both linguistry and linguistic competence in cultivating process, attach equal importance to expand students’ scope of knowledge and professional view. Through our systemic and structured international education, students not only could acquire basic and professional Chinese language study, but also be required to learn related major courses, participate in multiform teaching and practice activities, such as language practices, cultural experiences, social inspection, etc. Once relevant HSK test and preparatory test scores qualified, students can be directly enrolled into the university undergraduate study. With working concept of “professionalization” and “specialization”, the international students education of the school featured “Prominent Practical Teaching” by service standard as “everyday could be wonderful at the school”. Plus with the working principle of “fulfilling students' expectations”, we committed to strengthen Chinese teaching and professional training while integrate the exchange of talents and culture actively. 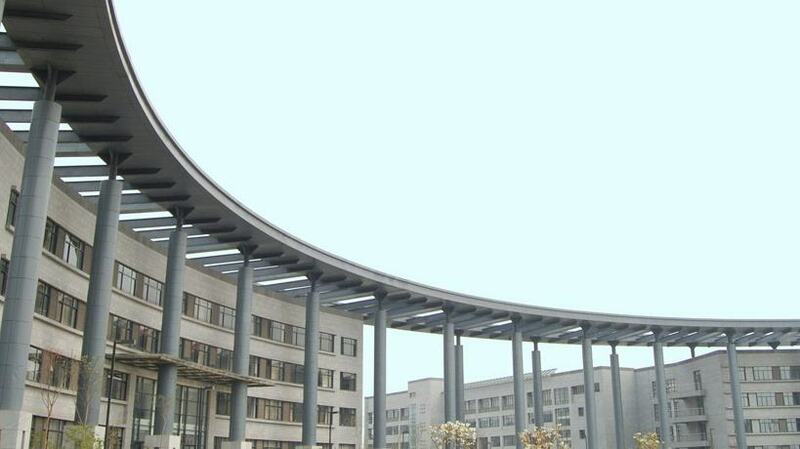 Relying on the advantage of wide foreign exchange and cooperation of Tianjin Normal University, the College of International Education and Exchange cultivated abundant of TCSL (Teaching Chinese as a Second Language) teaching resources with cross-cultural background and rich teaching experience. Our faculty members in international students’ education all possess one year or more overseas teaching experience and gain great popularity among students for their enthusiasm, integrity, patience, carefulness, broad international vision, solid professional skill, and high level of teaching with rich experience. Currently there are 38 full-time professional teachers in the College of International Education and Exchange, all of whom have obtained master's degrees or above. Most of them graduated from distinguished and prestigious universities at home and abroad, such as Tsinghua University, Beijing Language and Culture University, Nankai University, Beijing Normal University, Xiamen University, Macau University, Edinburgh University in the UK, Soongsil University in Korea, etc. 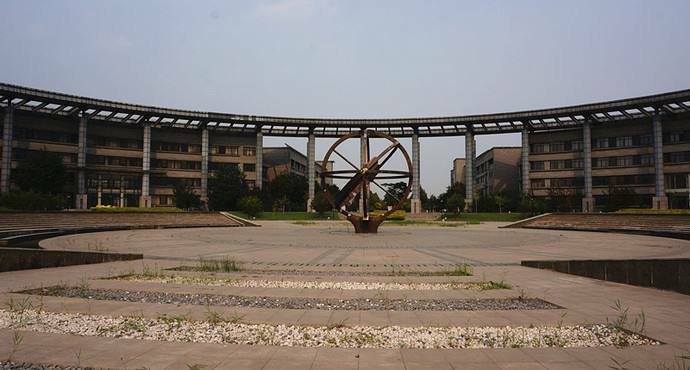 While improving the ranks of faculty members, Tianjin Normal University recruits and employs rich-experienced top notch visiting scholars and foreign teachers to give lectures and lessons. According to the different sorts of target students and forms of teaching, the teaching area set up special classroom, case study room, multimedia language lab, multi-functional classroom and conference hall. All classrooms equipped with multimedia teaching facilities and equipment, convenient and movable tables and chairs, air conditioners, etc. The intake capacity and space is enough for 300-400 international students. The living area is Golden Bridge International Student Apartment which located in Balitai Campus. The internal facilities configured as three star hotel. Our reception desk offered 24/7 service for students, the inside of the international apartment equipped with student canteen, function hall, small-sized meeting room, business center, laundry room, heating room, bookstore, retail shopping center, vending machine, etc. The double standard room provides hot water for 24-hour, air conditioning, and wireless internet access. The international apartment is big enough to accommodate up to 300-400 students. B. The new International Teaching Building and International Student Apartment site which located on the main campus are under construction and will put into use in 2019. Applicant for Doctor’s degree preparatory study should be a master’s degree holder. Please refer to our Prospectus for International Students at the school for more details. a. Application Form for International Students to Study at the school. b. Two recommendation letters. Applicants for master degree or doctoral degree must submit two recommendation letters written in Chinese or English from two professors or associate professors. c. Notarized highest diploma. Documents in languages other than Chinese or English must be attached with notarized Chinese or English translations. Prospective diploma recipients must submit official document issued by your current school to prove your current student status or expected graduation date. d. Academic transcripts. Documents in languages other than Chinese or English must be attached with notarized Chinese or English translations. e. Study Plan or Research Proposal. Written in Chinese or English, with a minimum of 200 words for undergraduate preparatory students, and 800 words for graduate preparatory students. h. Applicant for the Arts is required to submit self-portfolio in a video(CD). i. Valid documents of your legal guardians in China (only required for applicants under the age of 18). j. Applicants staying in China for more than 6 months should submit photocopy of the Foreigner Physical Examination Form (This form is uniformly printed by the Health and Quarantine Bureau of China. Please note “application for preparatory study” as the subject of e-mail. Related forms can be downloaded by click reading more. In general, the deadline is June 20 each year and the official admission notice will be issued in mid-July. 1. Undergraduate preparatory students:Passed all the preparatory courses tests with HSK4 certificate. 2. Graduate preparatory students: Passed all the preparatory courses tests with HSK5 certificate.